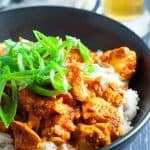 This Chicken Masala Slow Cooker With Paste is the easiest slow cooker recipe I have ever made. Its simple, quick, set and forget. 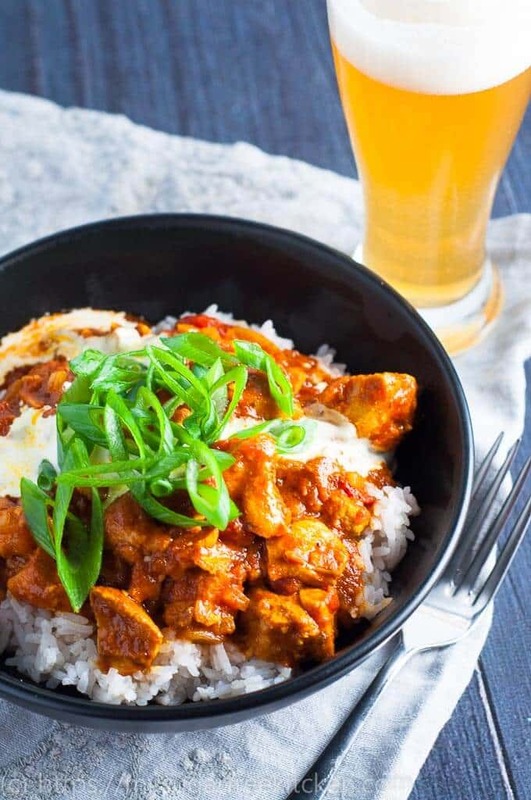 Just a few ingredients, five minutes of prep and you will be rewarded with rich curry aromas wafting around your house that taste even better. 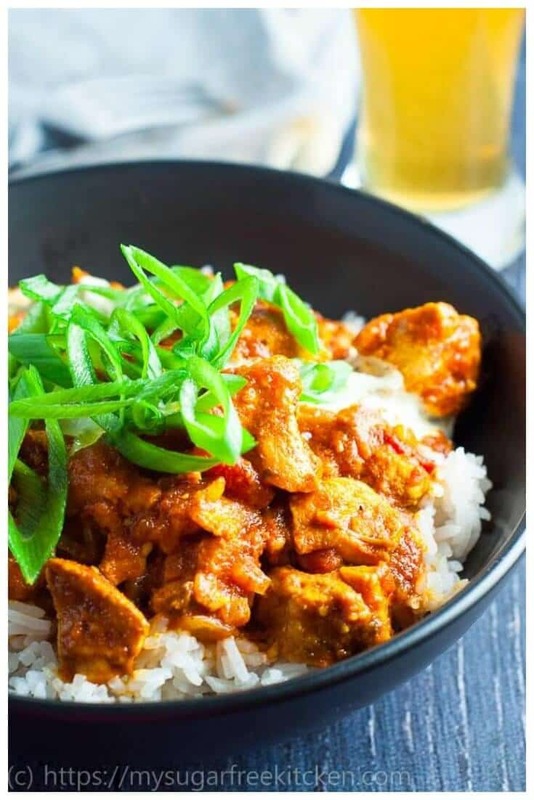 I make this one quite often because it is so easy to chuck everything in the slow cooker on a Sunday after lunch, duck out for some retail therapy or a walk along the beach and then come back to a house smelling of aromatic indian curry! 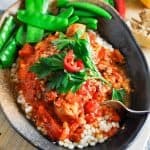 It’s as bold and adventurerous as this spicy chicken slow cooker and as easy as this moroccan beef and vege slow cooker stew. 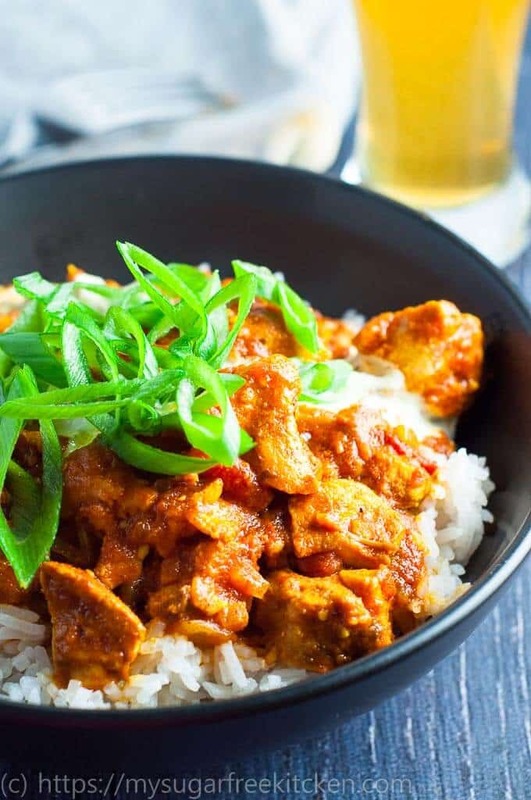 This is a homemade indian curry that smells good, tastes good and won’t weigh you down or leave you feeling like you’ve just gained a kilo in the minutes it took you to wolf it down. I think that this is one of the main reasons I typically avoid indian takeaway shops. Unfortunately I have had a few too many served with a layer of oil on top. Not this one though. Just rich tomato curry goodness, minus the oil. 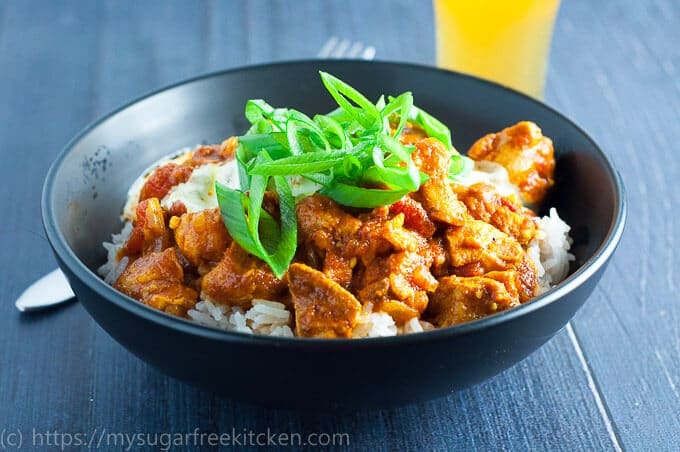 Chicken Masala Slow Cooker With Paste is the fastest slow cooker recipe you’ll ever make! In my book, a homemade curry is the perfect meal to share friends and family. Its easy to make it more or less spicy by adding more masala paste. I like mine to be a bit punchy, so I tend to add an extra spoonful of paste. Its easy to make the sauce more “saucier”, or less “saucier”. For more sauce, add another can of tomatoes if that is the way you like it! Sometimes I do this when I want it to last longer!! 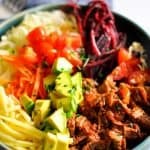 Its easy to ramp up the nutritional profile by adding some veg. Maybe not very indian, but who says you have to do everything by the book. 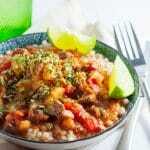 Why not add some carrots, white sweet potato, egg plant, or beans. Its easy to freeze leftovers (or make a double batch) so you have easy healthy meals during the week when you’re tired after work and can’t be bothered ringing the nearest takeaway joint. Sorry, I mean avoid ringing the nearest takeaway joint because you have a healthy nutritious homemade curry meal waiting for you. 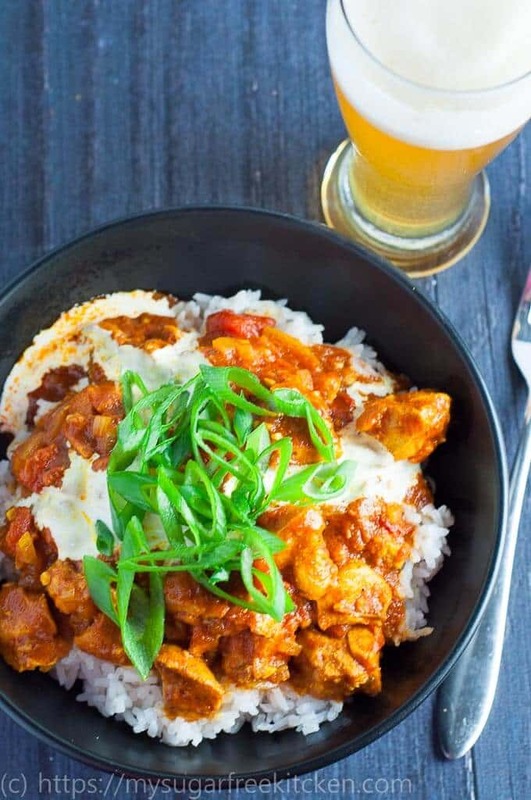 Slow cooked chicken tikka masala. Homemade. Better than buying it. Make it the way you want. P.S. This is the Slow Cooker I use. Super simple Slow Cooked Chicken Tikka Marsala - it really couldn't get any easier to create indian curry at home with little effort and bags of flavour! Once plated up with your favourite choice of side (rice, naan etc) drizzle a little cream and garnish with spring onions. Store in the freezer for upto 6 weeks.